This showed how a mutation led initially to a health and survival advantage in members of a large family, but during the 20th century epidemic of coronary heart disease (CHD) this changed into a major disadvantage. The inheritance pattern was recessive with partial penetration in the heterozygous state. This requires further explanation, an understanding of the genetics of inheritance. Uni-parent (asexual) reproduction is effectively cloning, meaning that the offspring, starting as a single cell, will be genetically identical to the parent. The cell divides into two offspring, a process of cell division, mitosis. It appears to be simple process, but inheritance can easily go wrong. It is necessary for the chromosomes (strings of genes) to double, to replicate, before cell division occurs. In unicellular organisms this results in two identical offspring from one parent, diploid meaning each has two sets of chromosomes. However whenever chromosomes replicate there is the opportunity for an error. If the error is a fault in the sequence of amino-acids on a gene then this will be a mutation. It might cause no apparent harm but if it results in a disadvantage to the organism then cell death will occur and the reproductive line will come to an end. We are familiar with sexual reproduction, in which there are two parents (there does not appear to be any advantage to having more than two parents). It entails gene interchange and genetic recombination. The parents each have genes that occur in pairs, and the offspring acquire one of the pair from each parent, so that a different pair continues in each of the next generation. There is a considerable advantage in having bi-parent reproduction, namely dilution of a genetic abnormality, and it came about very early in the evolutionary story. 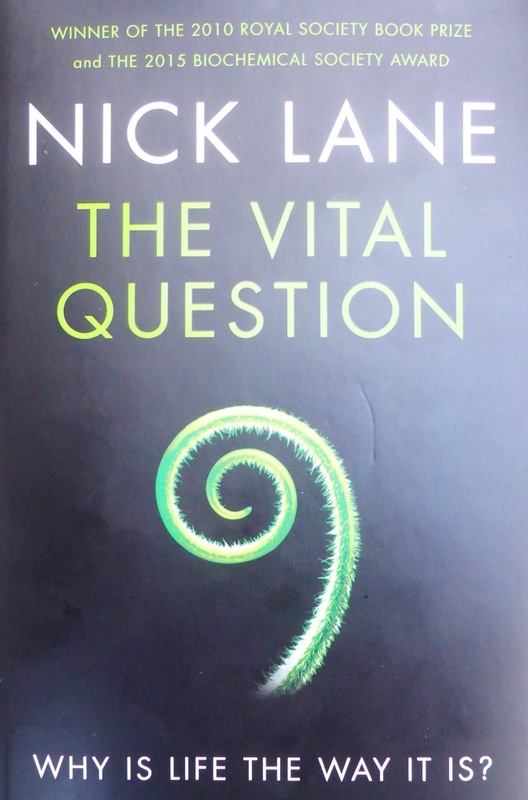 A remarkable but highly detailed and technical account of this is found in the book The Vital Question, by Nick Lane. 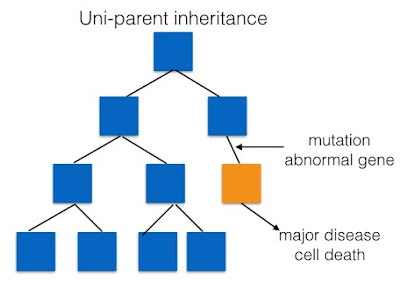 In uni-parent reproduction a genetic mutation that occurs in a “parent” will be passed to all offspring and all offspring are identical to the parent. 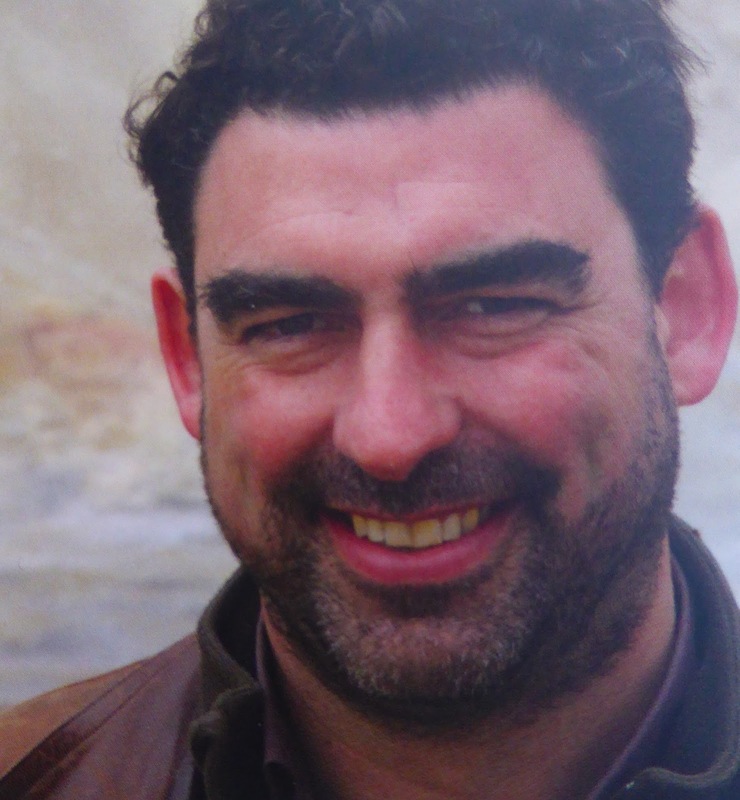 A mutation would bring the line to a rapid end, unless it were to provide a significant evolutionary advantage and this would be exceptionally rare. But if there are two parents, then although the mutation would be passed from one parent to each offspring, it is unlikely to have an effect as the corresponding gene from the other parent would be normal. It will provide the necessary function in the offspring. 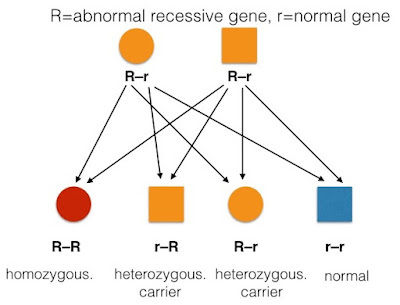 This is characteristic of a recessive gene - an abnormal gene will not usually cause a problem unless the corresponding gene from the other parent is similarly abnormal. The reproductive line would continue. 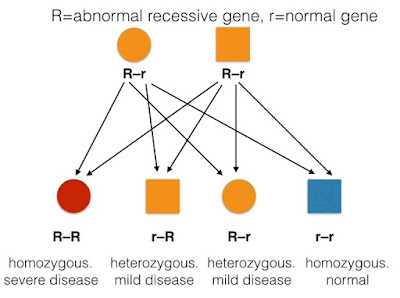 If a gene is recessive it is only when both genes of the pair are abnormal, one from each parent, that the health change, usually disease, will occur. This would be the homozygous state (homo- = same) and only one in four of the offspring would be affected. If the offspring inherits just one abnormal gene, there will be no disease but the individual will be a heterozygous unaffected carrier. Sometimes things are not quite so straightforward. In some genetic conditions, and familial hypercholesterolaemia (FH) is an example of this, there will be severe disease in the homozygous state, but just a milder form of disease in the heterozygous state. This represents partial penetrance of a recessive gene. 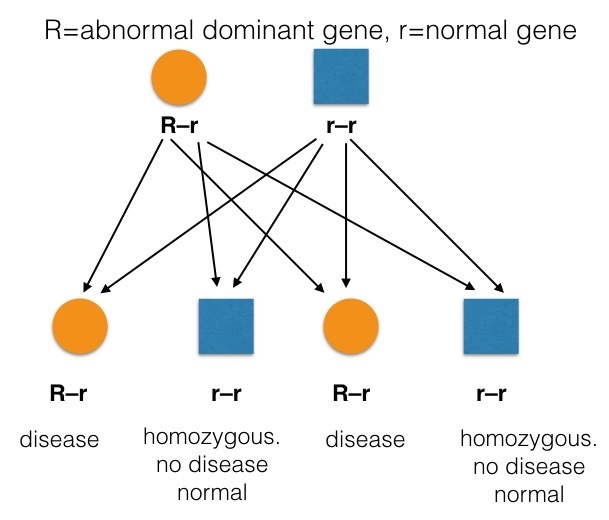 A dominant genetic disease will occur if only one of a pair of genes is abnormal, the heterozygous state (hetero- = different), but the abnormality is sufficient to cause disease, two normal genes being necessary for the disease-free state. One abnormal gene of the pair will cause disease. In inheritance of a dominant abnormal gene half of the offspring will have the disease. This is very much more rare than a recessive genetic characteristic, as the genetic disadvantage of a dominant gene usually causes early death in 50% of the offspring, before reproduction can occur. An exception is Huntington's disease, a serious early onset neurological disorder with dementia and onset at about the age of 40 years, when reproduction will already have taken place. Being dominant inheritance, it will affect one in two of the offspring. There is no carrier state as a single abnormal gene will cause disease. Genes code for proteins, many of which are enzymes. If only one of a pair of genes will code for an adequate amount of a specific functioning protein or enzyme, then a mutation would create a recessive gene and the heterozygous state would have no disease. 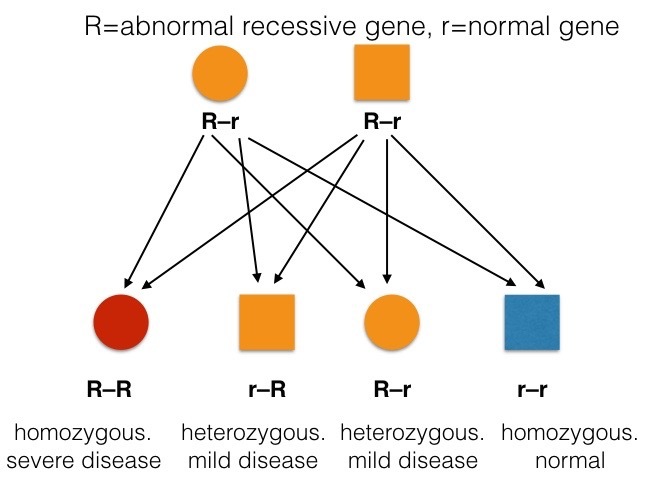 If we are to understand familial hypercholesterolaemia, FH, we must be aware of the recessive gene with partial penetration. In heterozygous FH with one abnormal gene there is moderate elevation of serum cholesterol and an increased risk of age-related CHD death. But in homozygous FH, when both genes of the pair are abnormal, there is much more important genetic abnormality, with a very high cholesterol and a very high risk of early death from CHD. This means that in families with FH all offspring will have an elevated cholesterol, but some higher than others. But do not forget that this genetic “abnormality” was, before the epidemic of CHD, a significant evolutionary step forward giving an important survival advantage. Further details of the inheritance of Familial Hyercholesterolaemia and also Sickle Cell Disease will follow in a further Blog Post.